NORWALK, CT – March 3, 2016 – Irving Levin Associates, Inc. will host an important health care webinar on Thursday, March 17, 2016, during which expert panelists will discuss behavioral health care M&A. Behavioral health care is a fast growing-growing sector in healthcare today. New players and established companies are building platforms, consolidating and moving into new areas. Join the discussion to find out where the best opportunity lies. Lisa Phillips, Editorial Director of The Health Care M&A Information Source and moderator of the panel, will pose topical questions such as: Who’s buying, who’s selling and why? What is affecting current valuations? What emerging trends and new players are entering the market? What are the headwinds and tailwinds at play in this market? Our panel of experts will address these topics and others—and answer questions from the listening audience. Our experts include: Dexter Braff, President, The Braff Group; Todd Rudsenske, Managing Director, Cain Brothers & Company LLC; and Stephen Scott, Managing Director, Avondale Partners, LLC. Behavioral Health Care: Buying, Selling and Valuing is expected to generate a stimulating discussion. If you’re interested in this topic, you’ll want to attend this informative webinar on Thursday, March 17, at 1:00 pm ET. 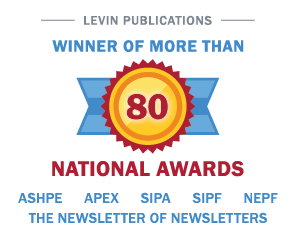 Please visit www.levinassociates.com/conferences/1603-online-conference or call (203)846-6800 for more information.